All metal contruction- solid, reliable & long lasting. 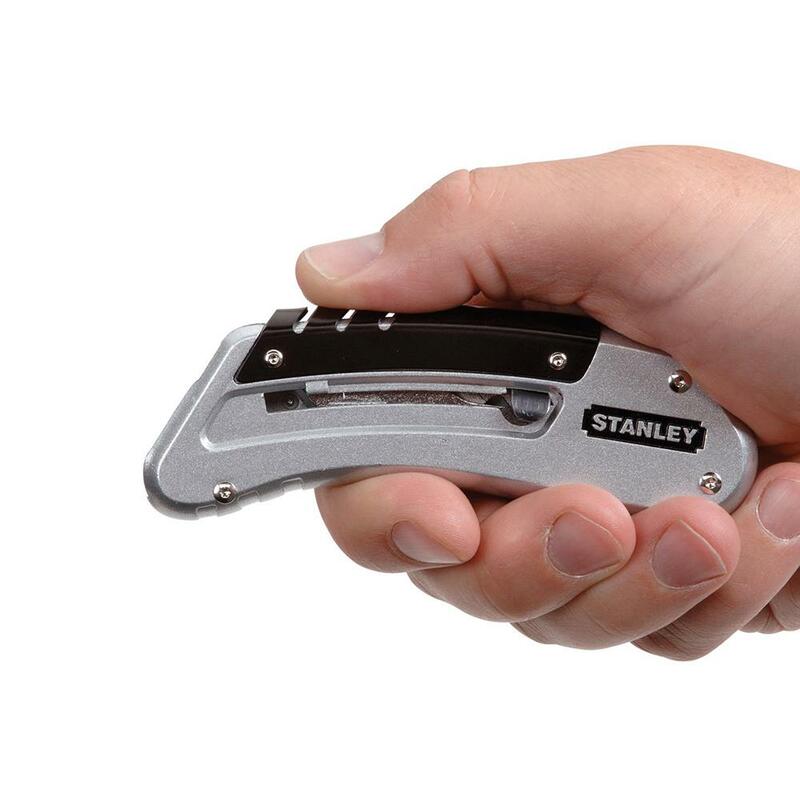 One handed operation blade slider extends the blade easily and quickly. 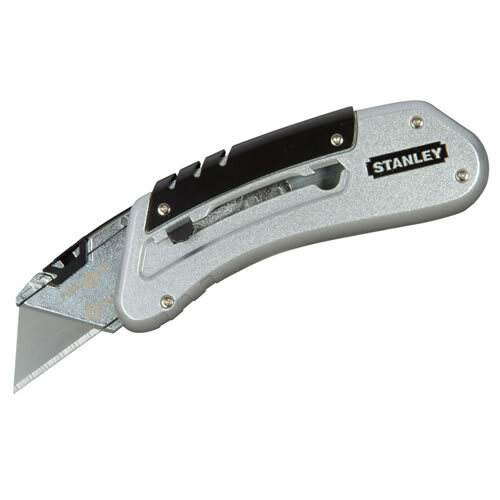 Push down and slide safety feature ensures the blade is not accidently extended. Metal belt clip for easy storage, pocket sized for convenience. Accepts all standard Stanley blades.